A high standard of living would mean that all members of society would have access to all of the necessities to sustain life – medical care, education, food, clothing, housing, entertainment, leisure time and more. Man-hours could be reduced considerably until completely eliminated. 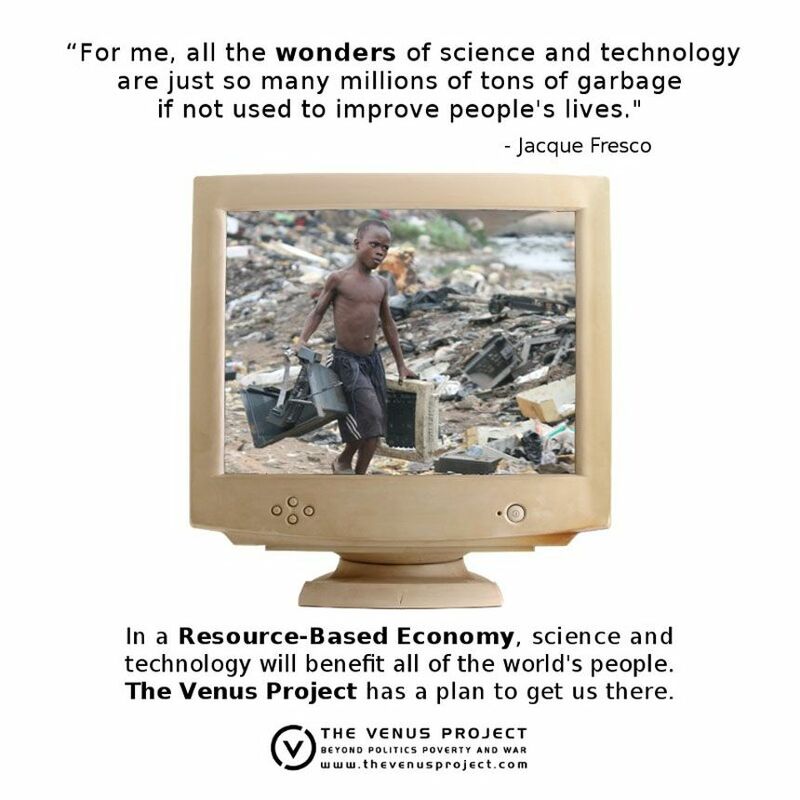 By eliminating planned obsolescence and the replication of the same products by many different manufactures and by surpassing the need for advertising, sales, lawyers, business personnel, bankers and all of the other non-productive profession we could easily provide many more goods and services to all people. Today’s middle class lives better than all of the kings of the past. In a resource- based economy, when the main thrust and total aim of science and innovative technology are directed towards a higher standard of living for all, our life style could far surpass anything imagined today. Frequently Asked Questions From Over 25 Years. The content of this article was originally posted on our page. We seem to be stuck on the wrong path with leaders who don't take the long view.